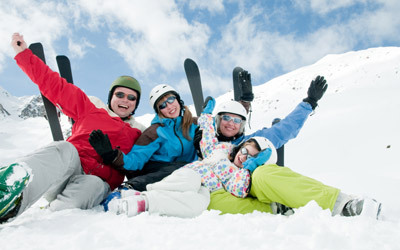 Refer people to Sun Peaks Resort and earn Affiliate Commissions when they book their ski vacation. Signup is free, without obligation, and takes only minutes. Start by entering your email address in the form below. If you know people who like to ski, snowboard, golf, fish or mountain bike and are willing to refer them to book through Top of the Mountain Accommodations, we would be delighted to offer you several benefits to make it worth your while. Save on Your Accommodations - we'll offer you 10%, 15%, 20% and even 25% off your own accommodations as you refer new customers to us! Get Paid Referral Commissions - we'll pay you a 10% commission on your referral's bookings and even pay you a 5% commission when your referrals refer others! Offer Your Referrals Special Savings - offer your referrals a 10% discount to encourage them to book, and if you don't want to profit from their bookings, you can even "kickback" your commission so they can save 20% on their bookings! Believe it or not, if you simply become an Affiliate today you can get 10% off your own accommodations*. We have a standing policy that anyone who offers us their contact information and is in our database gets our returning customer discount. When you sign up, we'll send you an email which will include a special "Promotion Code" that you can use to save 10% on your bookings done online or by phone. Even better, we offer our Affiliates real savings when they refer new customers to us. Refer 4 new customers ("new customers" are people who are not already in our database and who purchase accommodations from us) and we'll send you a 15% Promotion Code you can use to book your own accommodations. Refer 8 new customers and we'll send you a 20% Promotion Code. When you refer 15 new customers to us, we'll give you a Promotion Code for 25% off your own bookings and this special code will not have blackout dates, meaning you can even save 25% on your New Years and Christmas bookings! There are no obligations on your part and you can join for free in minutes even if your only purpose is to get a 10% savings. We don't mind, because if you're not already a returning customer but end up booking with us with a 10% savings, we know our quality of service, personal attention and quality accommodations will have you returning often and telling your friends about us! Finally, if you book accommodations for yourselves and then later refer enough people to us to earn an additional discount, we'll retroactively apply a discount, so long as your check in date has not yet arrived. So you don't need to wait until you have enough referrals before booking. Book your vacation first, refer people who book with us, and we'll adjust your bookings with the discounts you earn and either reduce your pending accommodations payments or refund the difference on your credit card! Getting discounts on your own bookings is really just a bonus, because when you refer new customers to us, we'll pay you 10% commissions on the money they pay for accommodations. Further, if any of the people you refer to us (1st Tier Referrals) go on to refer others (2nd Tier Referrals), we'll pay you a 5% commission on that new customer's bookings. During the Christmas and New Years season, it's not uncommon for people to spend more than $3,000 on accommodations at a luxury condo or chalet with a hot tub, so a single referral could be worth over $300.00 to you for simply posting a link on your website. All you'd need to do is put a link to us on your website or email people you know about us and we'll handle all the arrangements ourselves and simply mail you a check after your referrals have stayed with us. 10% Paid when new customers you refer book accommodations. Paid for one year from new customer's 1st order placement. 5% Paid when Affiliates you refer earn 1st Tier Commissions. You're always paid when your Affiliates earn 1st Tier Commissions. When you sign up to our Affiliate Program your contact information will be entered into our database. You will choose a special, unique, referral phrase (or word) which will be part of the web links we'll provide you. Simply send one of your special links by email or have your webmaster place a link on your website. When anyone clicks on your link, we'll plant a "cookie" when they arrive on our website which will stay with their web browser for 90 days (unless replaced by another Affiliate's cookie in the mean time). As your referrals sign up using any of the forms on our website such as our booking request form, your contact record in our system will be linked permanently to theirs. When they purchase accommodations from us you will be credited as the 1st Tier Affiliate and will receive a 10% commission. 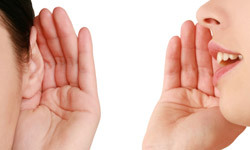 You can also simply refer people to us by word of mouth, but be sure to tell them to mention your name or company and we'll be sure to link them to you in our database. If they call or email us from the contact us page, your reference number is displayed prominently for them as the "Discount Code" which we will ask for so we can track them to you. You were not referred to our site from a link on the web or from an email because an Affiliate Program reference number has not been stored in your web browser's cookies. If you were referred by a link, you would not be reading this paragraph; you would be reading one that actually shows the reference number. If you'd like to see a demonstration of the linking technology right now, click this link. Becoming an Affiliate doesn't just allow you to save on your own accommodations or earn money from the bookings of others. You can become an Affiliate just to help people you know get discounts. For starters, when you refer new customers to us you can tell them in advance that they can get a 10% discount when they book. This will give them an incentive to book with us and will allow you to make a genuine offer that benefits them--everyone wins! However, if you're not interested in earning commissions from a referral, you can actually kickback your commission and offer your referrals a 20% discount. We know that a lot of people don't want to make money themselves from their friends and family, and so we offer this special power to our Affiliates so they can help them save their friends money. You can't use this special kickback for your own accommodations and the 20% discount can only be used by new customers, not people who have already booked with us in the past! Signing up really should only take a few minutes and you are under no obligation to promote our service if you change your mind. There are no costs and the only real requirements are that when you promote us, you must do so honorably and without using any form of spam, illegal means, or inappropriate or misleading statements. While Sun Peaks Resort is principally known as a winter sport destination, tourism is growing year round and we will make efforts in every season to provide valuable and exciting opportunities for your referrals to book accommodations with us. Please sign up now by entering your email in the form below or contact us if you have any questions. *The "Promotion Codes" we provide our returning customers and Affiliates won't usually apply to Christmas and New Years booking dates but may also include blackouts during peak times. **These numbers are estimates based on past full years average bookings without emphasis on Christmas or New Years bookings. ***These numbers represent the high average bookings done during peak season between Christmas and New Years. The purpose of this weighted estimate is to demonstrate potential for high end commissions.